It’s almost April which means I’ve got another free wallpaper calendar for you! 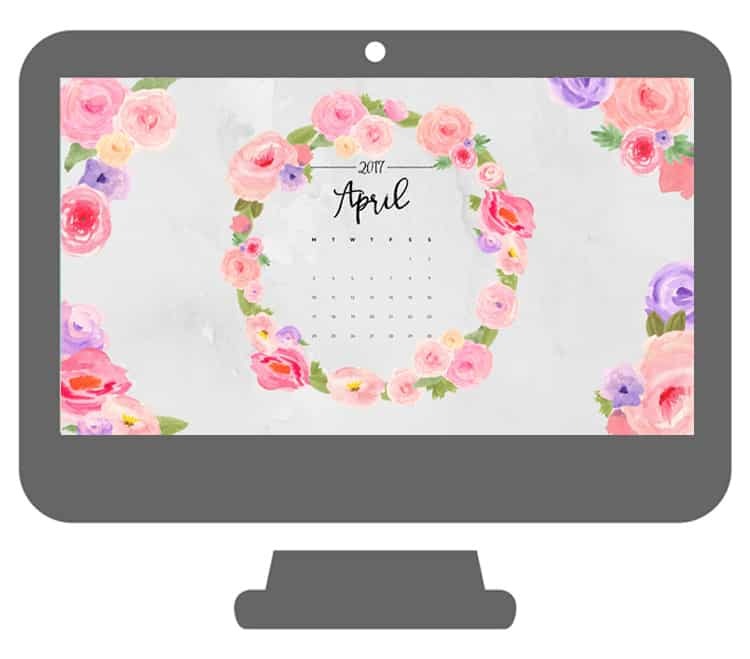 This April Calendar Wallpaper has a watercolor wreath and cute April calendar. I love the gray watercolor background surrounded by beautiful pink and purple watercolor flowers. I hope you love your wallpaper freebie! Make sure you check out my Easter Wreath Printable too! Saw this on Pinterest, had to check it out! Love it, thanks! Thank you! I’m from Chile and be here downloading your beautiful desktop wallpaper! Yay! Sping is touching me and I’m ready for Easter, my most favorite holiday of year. Thank you Maryann for the adorable wallpaper!